Dog News Fire Firefighters Heroic Humans International Rescue Video Wow! On June 27, 2014, two German Shepherds almost lost their lives when they were trapped inside their burning home, but thanks to local firefighters and rescue workers, the dogs were pulled from the flames and revived. The blaze took place around noon in Plantación Fiscal, San Antonio, Chile. When firefighters arrived, all human residents had escaped the blaze, but their pets, two cats and the GSDs, Apolo and Princesa (Princess), remained trapped inside. 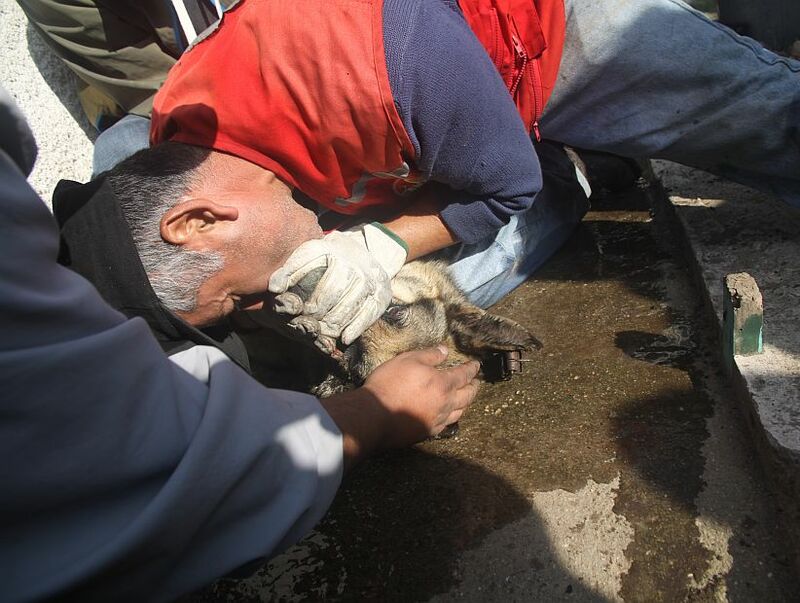 The heroic men were able to locate the dogs and pull them to safety, but by the time they reach the outside of the home, both dogs were unconscious. They had suffered heart attacks and had inhaled large amounts of smoke. 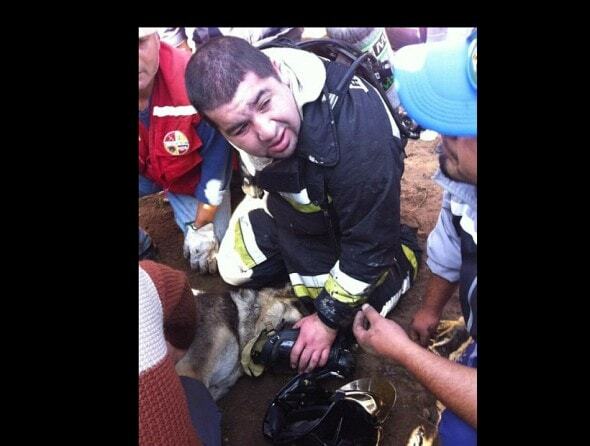 Without doubting what had to be done firefighter Rafael Pizarro, and BRAC volunteer rescuer (Brigada de Rescate y Ayuda Comunitaria) Cristián Espinoza, started performing CPR on both pets. The heroes did mouth-to-snout and thanks to this Apolo and Princesa are alive and well today. Unfortunately, the cats were not located and both perished in the fire. The home was a total loss and its residents had to temporarily move in with family members. The dogs stayed behind, but don’t worry, they are living with neighbors who love them and are ensuring the pets’ recover successfully. The pet owners hope to reunite with their beloved canines soon.